Bernick's has a proud tradition of supporting the communities in which we serve by supporting organizations that reflect the Bernick family’s core values, while providing leadership in responding to emerging community needs. In addition to the Company's direct support, many of our Team Members volunteer their time and talents with schools, civic groups, non-profit organizations, youth groups and local elected boards. We have very specific criteria that must be established to ensure an appropriate donation or contribution is made to the communities we serve. One requirement is that an organization must be a non-profit in our community. Our giving priorities are health & fitness, and youth & education. It is because of this that we have chosen to partner with the United Way of Central Minnesota (among other area non-profits) again and again. 2014 was a great year at Bernick’s, and we’re excited to continually strengthen our community support, and partnership with the United Way. 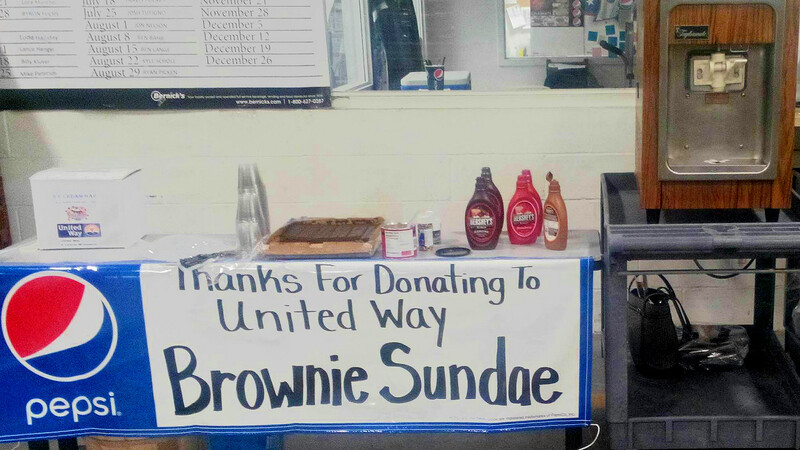 Although we partner mainly with the United Way of Central Minnesota, we also conduct annual United Way campaigns at all our warehouse locations, including Duluth, Bemidji, Brainerd, and Dresser – in addition to St. Cloud. The United Way supports our corporate culture of giving back to the community by holding campaigns that encourage our Team Members to support not only United Way, but our Central MN community as well – and to do so with Bernick’s. By opting in to payroll deductions, it is easier for Team Members to give and support such causes. Because we feel this community partnership is important and beneficial to many, it is the only organization that Bernick’s allows for solicitation. In 2014, there was over $70,200 pledged in support by Bernick’s employees, and an additional $15,000 contributed by the corporation itself. We raised the bar from 2013, when we donated just under $65,000 with a $15,000 corporate contribution. Because of our commitment to and support of United Way of Central Minnesota, they have received over a million dollars from Bernick’s and our employees since they first became involved with our organization. At Bernick’s, we are proud to consistently rank among the top ten companies whose employees donate to the Central MN United Way. The Imagination Library is a United Way program that Bernick’s has specifically funded, because of its success in bringing books to children under the age of six. This particular program helps children become familiar with books and reading at an important developmental time in their life. The Imagination Library also gives children something to look forward to, as books are delivered regularly through the mail – it’s something they can call their own. The United Way also specifically funds successful programs offered by multiple organizations within the community to provide basic needs and skills for those looking to get back on track after a setback. The United Way does a number of amazing things for the communities that Bernick’s supports. We’re proud to have a strong community partnership with them and are thankful to have organizations like theirs established to help when needed. Bernick’s is honored to be an active part of our community; we take pride in being able to support organizations and individuals in Central MN and other communities we do business in.